I had been watching the Jamie’s Italian Facebook page since about mid 2016, eagerly waiting to hear about the opening. I went to try it in December when it finally opened. Such a great menu with many options. I tried the calamari starter, crispy squid served with freshly made aioli. It was absolutely delicious! All the food passing by me being served to other tables looked really good, especially the burgers. 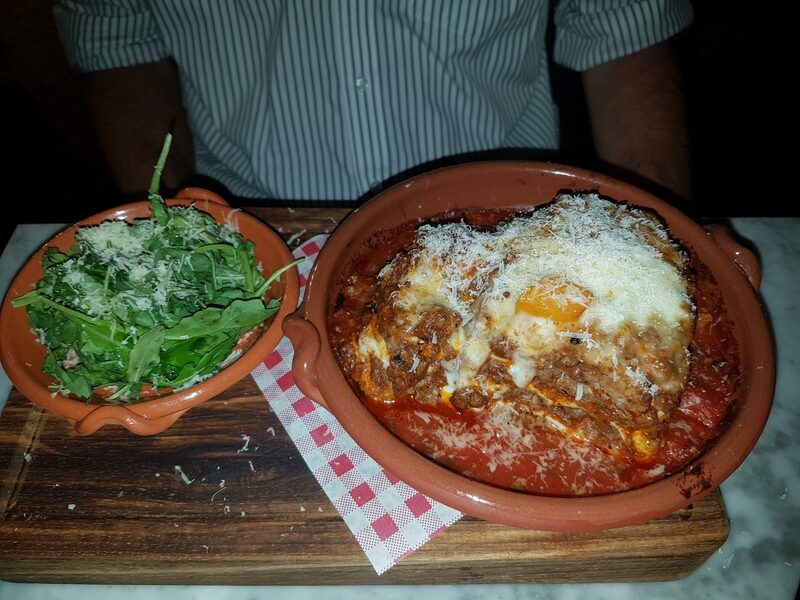 I was very tempted to order one but I couldn’t come to Jamie’s Italian without trying their pasta. It’s made on site from scratch and all produce is locally sourced. 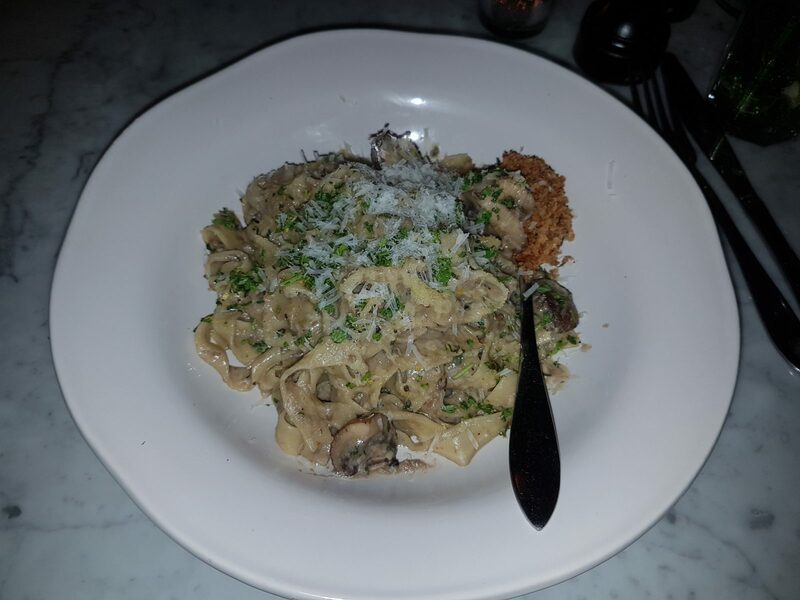 I decided to go with the porcini mushroom fettuccine. A fairly good choice. I loved the crunchy element of pangrattato (“poor man’s bread,” one of Jamie Oliver’s favourites). The pasta was very typical of Jamie’s style of food; simple, homemade and tasty! The service was incredible. 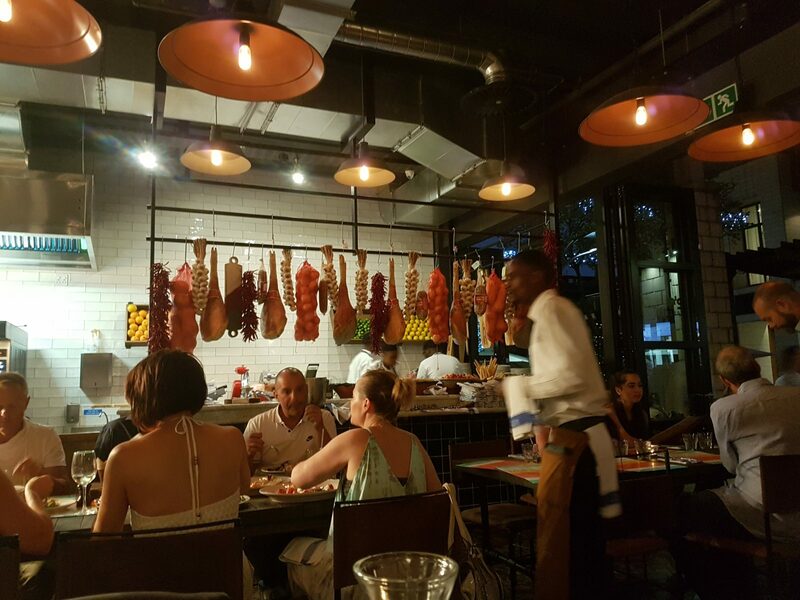 It’s clear the staff are very well trained, our waitress had some interesting facts to tell us about the food and even Jamie’s UK team who trained the South African staff ;-) A stunning and vibey setting, I’m sure I’ll be back to try something else on the menu. Sounds and looks great – will definitely have to give it a try when I’m next in town!